Blurring the boundaries of what a concert is, The Telling brings you three intimate “concert-theatre” pieces to mark International Women’s Day 2019, transporting you back in time through plaintive ballads, lively dance music and dramatic narrative. The Empowered Women Trilogy celebrates the lives of three extraordinary women who defy the strictures of their time and whose stories are both of their time but also startlingly contemporary. Unsung Heroine is the imagined history of troubadour Countess Beatriz de Dia (1140-1212). 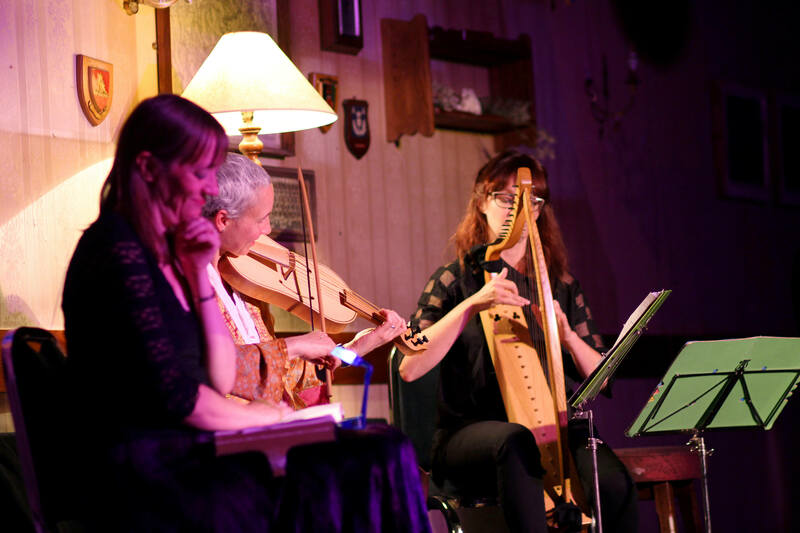 A blending of history and fiction, this intimate concert/play takes you back to the heady atmosphere of 12th century Provence with plaintive songs and foot-stomping medieval dances. An actress (TBC) plays the redoubtable Beatriz, a feisty woman troubadour, trapped in a loveless marriage. She meets fellow troubadour Raimbaut d’Aurenga and they embark on a passionate affair. But Beatriz has enemies at court and as summer moves to autumn and events spiral inevitably towards their conclusion, Beatriz channels her feelings into her song A Chantar, the only troubadour song by a woman, where both poetry and melody survived in notated form. Tickets: £6 - £20 available from Music at Oxford <https://www.musicatoxford.com/concerts/empowered-women-trilogy-unsung-heroine-the-secret-life-and-love-of-troubadour-countess-beatrix-de-dia/> or on the door.